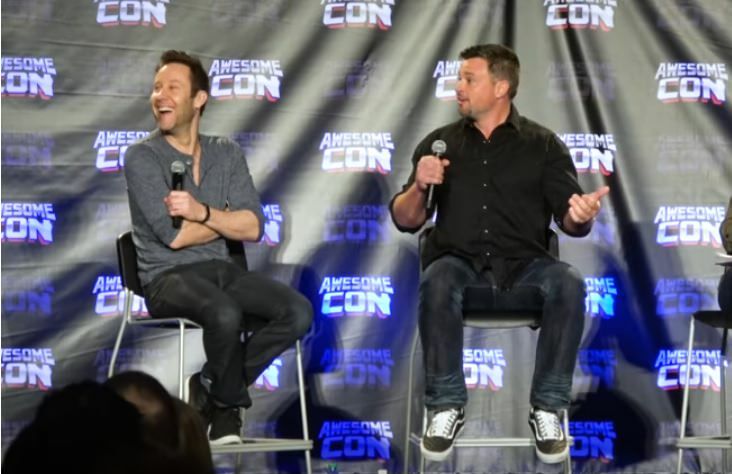 When I was thoroughly enjoying myself at AwesomeCon last week, every so often I would be boggled that 1) I was actually at a convention with both Michael AND Tom in attendance and 2) the main topic of conversation among SV fans in the line-ups was Allison M's involvement in that creepy cult. As one fanboy put it: "CHLOE BRANDS WOMEN?" I can remember the cult being discussed as early as 2006, in relation to both KK and AM. The concern then was that the cult leader would fleece the girls finances or damage their careers but obviously things got so much worse. From the sounds of it, AM fell in love with the cult leader and has done terrible things to keep his love. While KK left years ago, she's unfortunately still being dragged into news reports about it, probably because she's more famous than AM and makes a better story. I've met AM twice, at Cons in 2013 & 2014. She was friendly and nice, but I was well aware of the cult by that point, although not the grim extent of her activities, and that did colour my perception of her somewhat. In her solo panels, she would speak of a "mentor" and most of the crowd seemed to assume she meant an acting mentor, but of course it was the cult leader. While answering fan questions, she circled back to her "mentor" a number of times, as though unable to stop talking about him. When I went up for an autograph, she asked me if I was watching "Beauty and the Beast." I wonder now, in retrospect, if B&TB was in her mind because she was missing Kristin. Their friendship had ended the year before, when KK left the cult. Now, onto happier things, like these two being ADORABLE! 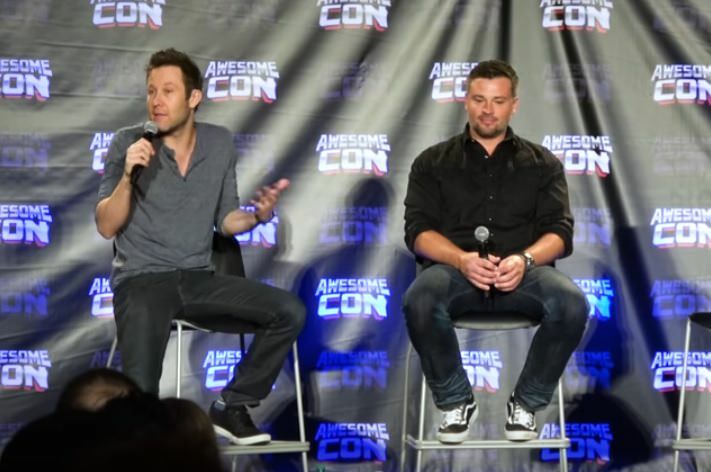 At the panel, Michael talked about how fun it was to be at a convention with Tom: "It's nice to have my old cohort here. We're always laughing, we're holding each other, like with pictures, & he's like rubbing my back & we're trying not to laugh while we're doing it, but we're enjoying the moment." Michael did touch Tom a lot. 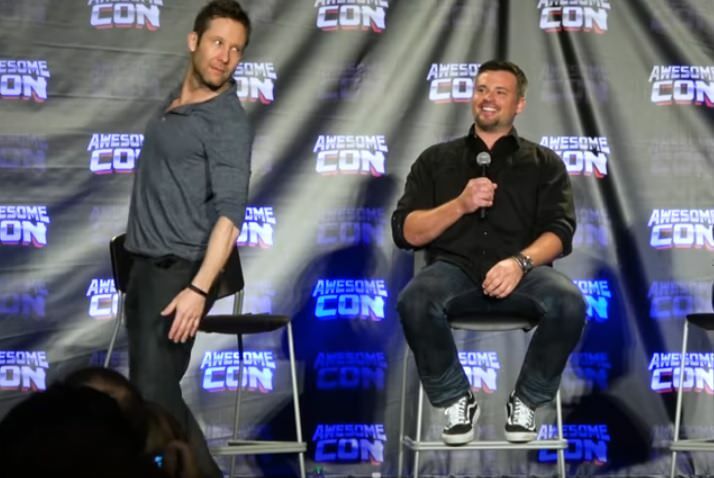 Here, he's demonstrating what he calls "the gay spider." But Tom reached over a few times too. Michael talked about how he learned to touch other actors in scenes from John Glover. 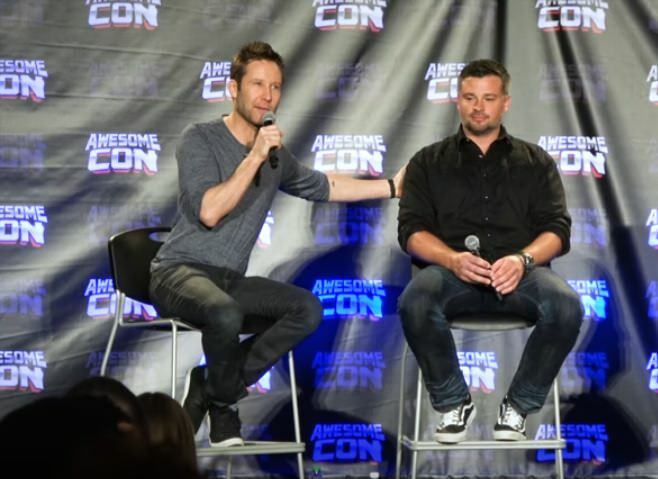 Tom: "I think there was one time, when you were going through this phase, we had a Lex/Clark scene and you walked up and put your hand on my shoulder and I was like "what're you doing?" Michael: "I'm trying new stuff, okay!" Panel Moderator: "I loved red!K Clark." Michael checks out his chest on the big screen monitor. Michael: "We would always do all sorts of fun stuff on set, like dueling Christopher Walkens, dueling Keanu Reeves and the directors were always like "C'mon Welling! Rosenbaum! Do the scene!" Tom: "When Michael directed, it was funny because he was so excited and we did this scene where Lana was leaving Clark for some time period and the camera's on me, and Michael had to sit behind the camera to be *finger quotes* "closer to the performance." So as Kristin walked by the camera, this is Michael. Michael's hand goes up (Tom raises hand) "And she's walking....she's walking" (Tom keeps raising hand) "And she's walking." And I'm like: "Is she getting taller? What're you doing?" I'm so glad Tom and Michael are going to Australia together! I think the Cons Tom does without Michael aren't going to be nearly as much fun for him. I loved the part where Tom could barely get his story out, because he was laughing so hard just thinking about it. The looks they gave each other! The touches! The way they made each other laugh, always! 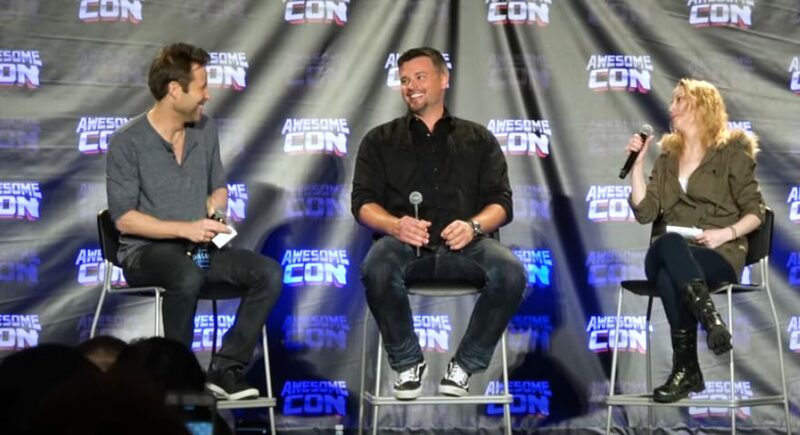 The two panels they did at AwesomeCon were a priceless gift for fans, and I'm so thankful we were lucky enough to get video of both. Already sad that won't be possible in Australia. Lovely screen caps! You captured some wonderful moments! I don't know what to say about AM. I hope fans refrain from asking about it, bringing it up serves no good purpose. I'm so glad Tom and Michael are going to Australia together! I need them to cuddle koalas. Michael has done this already but I need it to happen again, with Tom. I loved the part where Tom could barely get his story out, because he was laughing so hard just thinking about it. Out of control, giggly Tom is the cutest! The looks they gave each other! The touches! The way they made each other laugh, always! It was a relief how long they chatted at the start because the Q & A was a potential minefield. Would much rather watch them trade stories and reminisce anyway. I'm so thankful we were lucky enough to get video of both. Already sad that won't be possible in Australia. The most we'll be able to get is audio, if someone is covert enough. But no hope of vid unless the Con has relaxed considerably since we went. They're even pretty strict about photos. Maybe Michael will help us out and film a bit himself! It's just depressing, and more so for the guys because they knew her. Am so tired of IG commenters & people on Michael's twitter feed asking about it.